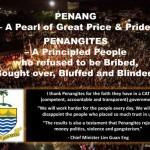 my say on the penang second bridge long ago – welcome! hmm… so today is the day the penang second bridge will be officially open… and there will be a celebration, a carnival sort. will you be attending? i won't… i'm not free anyway as will be on my way to KL. even if i'm free, i won't… because the second penang bridge, penang third link, was a project which i debated against. 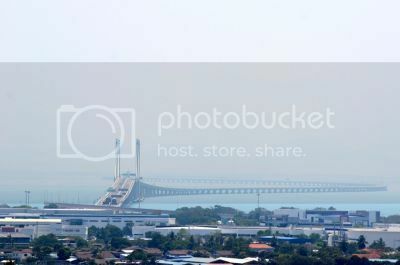 long ago, as far back as 2005, i had started blogging about the penang second bridge. that time samy velu was still the transport minister. there were some controversy regarding the awarding of tender/contract. the cost of building the bridge seemed to go up and up and at one stage i was happy when read that samy velu giong to scrap the penang second bridge. however, that was not so. 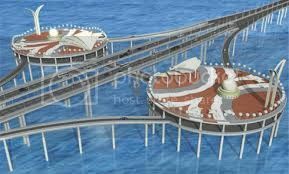 in 2006, they decided to go ahead with the bridge and had shown us a plan of the bridge. looked very impressive… with viewing platform too (see picture above), which i had of course blog about it. in that post (and also other posts) i had mentioned about the bridge might cause more traffic congestion. well…few days ago, the sun confirmed this with their report 'second penang bridge may cause traffic woes'. why? simply because there is no traffic dispersal plan. typical of the malaysian government! you know, in 2009 when i joined the citizen journalist training by malaysiakini, one of our assignment was to write an article on anything to do with penang, and i choose to write on 'do we need the penang second bridge?'. later i blog about our penang CM who wanted the bridge and was attacked by some commenters… especially one troll (who used my surname). then in 2010 i had blog about it again, showing a press statement from the then pantai jerajak ADUN, yb sim. so as you can see, those days when i was active blogging, i had blog quite extensively about the penang second bridge (if you care to click on the links to read). 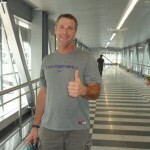 thus, now that the penang second bridge is up, i just have to blog again – just to bring up my old posts. anyway, for those who go ga-ga over the penang second bridge (see picture here, taken from the malay mail), here is the basic information about it (taken from somewhere). 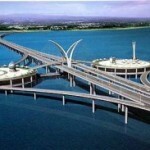 do we need the second penang bridge? a walkway that is 6x the price of a condo!